Finally nonstick cookware that is induction compatible, dishwasher safe, safe for metal utensils and PFOA free is here! It is made of cast aluminum so even heating is certain. The industrial diamond in the nonstick surface is an extraordinary conductor of heat (far superior to copper) and offers the nonstick performance that lasts the test of time. 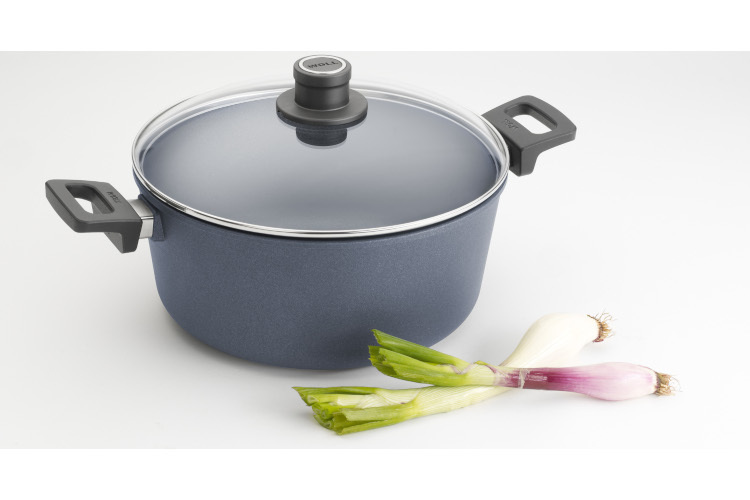 Woll, nonstick cookware for life!